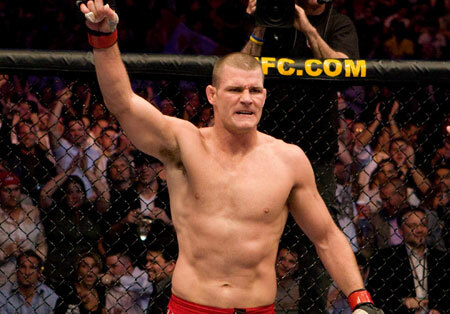 After getting a disciplinary action, Michael Bisping and his team strikes again. After UFC sanctioned Michael Bisping with disciplinary action, his team – Team Wolfslair – issued a statement in response to UFC 127 post-fight controversy with Jorge Rivera. Team Wolfslair believes that Jorge Rivera’s corner-man was the primary catalyst for Michael Bisping’s bad blood to boil. However, the opposing team disputes their claim and stated that Team Wolfslair’s accusations constitutes “damage control” for The Count’s behavior. It should be remembered that Jorge Rivera claims that Michael Bisping threw an illegal knee on him during their UFC 127 bout. After that, the cameras caught him spitting at, or in the direction of, Jorge Rivera’s corner-man. However, Michael Bisping said that the strike was unintentional and apologized for spitting in front of his opponent’s corner. But still in dispute, Jorge Rivera’s management asked both UFC and the Combat Sports Authority of New South Wales to issue a fine or a suspension for Michael Bisping.